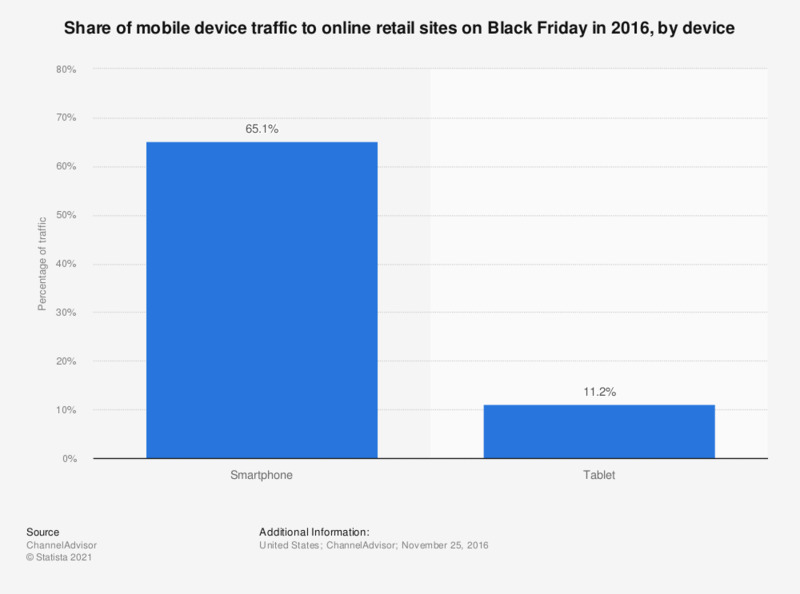 This statistic gives information on the distribution of mobile device traffic to online retail sites on Black Friday 2016. On November 25, 11.2 percent of retail traffic was generated via tablets. Smartphones accounted for two thirds of retail site visits on that holiday shopping day.